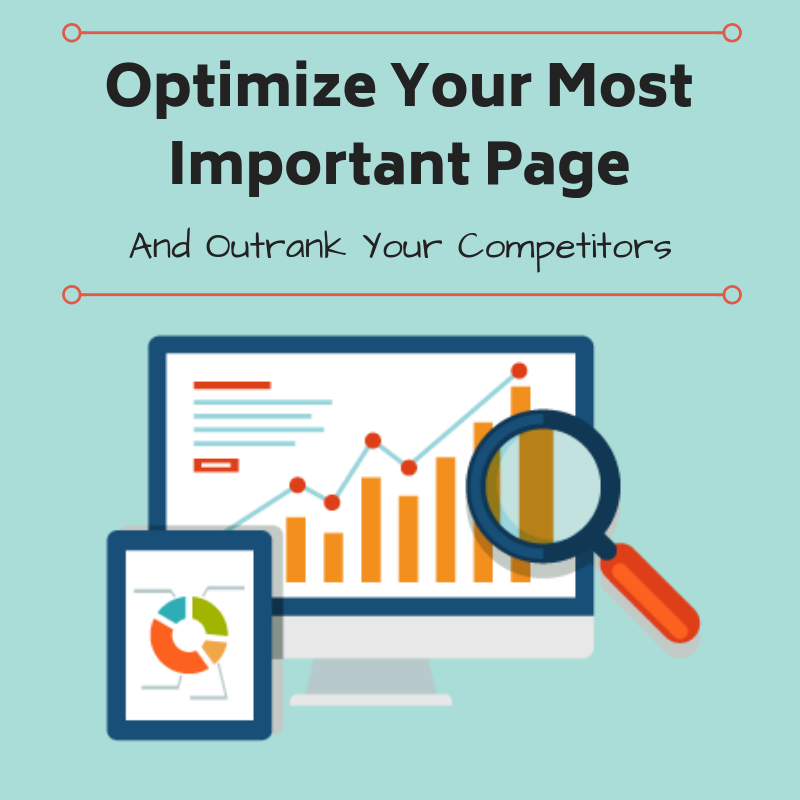 Optimize your most important page to outrank your competitors. Looking to outrank your competitors in Google? Then this PPH offer is for you. You've probably heard the generic advice- create quality content and build links. Then you'll rank in Google. Do you need more links? Maybe. But if you’re not beating your competitors onsite then those links won't get you the results you want. You've likely done your keyword research and optimized the basic elements like title & header tags, alt tags, etc. But that just barely scratches the surface. It may sound overwhelming but the good news is that once you get your page optimized, you'll be well ahead of your competitors. Want more customers? More sales? Getting to the top of Google can make that happen. #1) A complete onsite audit for your chosen page. Why just one page? Because this isn’t one of those audits where a URL is put into some software and returns errors it finds on the site. We’re going deeper! I’ll take a deep dive into everything that can impact your rankings. This is the stuff most people miss. -Internal & external anchor text. 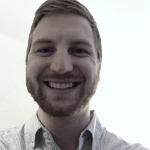 -Supporting content to establish relevance with Google. -Targeting the related terms Google associates with your keywords and expects to see. -Your site strength vs your competitors. #2) A report detailing everything needed to be completely optimized for your target keywords to beat the competition. This will show you exactly where your onsite SEO is lacking. It won’t be a generic report spit out by some SEO software. It will be my notes, created by going through every element of your page and detailing needed changes. You’ll know everything you need to get to the top. #3) A step by step plan to get to the top of Google. I’ve seen plenty of “SEO audits” ran by other guys with things like, “optimize title tags” or some other generic piece of advice. That’s not what you’ll get here. I won’t tell you to optimize your title tag. I’ll tell you exactly what it should be. Then I’ll also show you how your site strength stacks up against your competitors. I’ll tell you how many links you need to build. Then I’ll walk you through how to build them. With this report you’ll have everything you need to take one of those top spots on Google. Ready to get your most important page ranked higher in Google? Let’s get started! I can audit a 2nd page. 1) The URL for the page you want to focus on. 3) Access to Google Analytics & Webmaster tools (preferable). 4) Any other info you have that will help me to understand the situation. SEO & Digital Marketing Consultant - Content Marketing & Link Building Campaigns to drive targeted traffic and leads. Are you getting the most out of your online presence? Is your website driving new leads and targeted traffic? Or is your website under-performing and you're not sure why? Do your...Read moreAre you getting the most out of your online presence? Is your website driving new leads and targeted traffic? Or is your website under-performing and you're not sure why? Do your customers and clients know why you do business and why they should care? I am an expert in web presence for businesses with over 5 years of experience. A great online presence starts with great copywriting and content and builds with a consistent marketing campaign across channels that are targeted to the people who really love you. I can offer a full review of your website and marketing campaigns and let you know what you can do to improve sales using your online avenues; particularly Google. We can even start from scratch and build something great! My clients see consistent and often dramatic improvement using my recommendations and techniques and are thrilled with the results. Superior research skills and an understanding of consumer psychology and business allow me to determine exactly who your target market is and how to reach them. I keep up to date with the latest in marketing news and developments, particularly with respect to digital marketing (SEO, content marketing, link building). I have developed and executed marketing plans and marketing materials for companies in industries such as travel/tourism, the arts, finance, wealth management, business services, real estate, luxury goods, and hospitality. These materials included newsletters, press releases, landing pages, website copy, blogs, Facebook business pages, Facebook ads, articles, Google ads, and general correspondence. Want to tap into the digital world and find out what the internet can do for your business? Send me a message!